By utilizing a dealership’s DMS data, the Facebook integration allows for the delivery of one-to-one social advertising to customers. What dealers really want and need is for their social media providers to drive more vehicle sales and service opportunities. OneCommand (http://www.onecommand.com), the leading Customer Marketing & Loyalty Automation Platform™, Customer Relationship Management (CRM) Platform, and Social Media Advertising and Reputation Management Solution for auto dealers, announced today an integration with Facebook and Instagram that utilizes an innovative new product to reach customers at key touchpoints during their ownership lifecycle through automated social marketing. 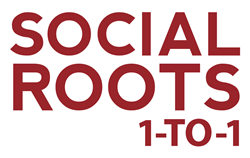 OneCommand’s industry-leading, powerful, turn-key Customer Marketing and Loyalty Automation Platform™ has recently been expanded to include a robust social media marketing and advertising program, Social Roots™ 1-to-1. By introducing features that leverage Facebook’s platform, OneCommand now provides dealers an increasingly effective opportunity to automatically reach customers where they are spending the most time. People spend an average of three plus hours a day on their mobile device, and one in every five mobile minutes is spent on Facebook and Instagram. OneCommand’s data set includes sales and service transactions, which are used to trigger targeted, relevant one-to-one messaging to customers in their Facebook and Instagram feeds. With this enhancement, enrolled dealers are now able to deploy a multi-channel strategy through voice, text, email, direct mail, and social media to effectively drive customers back to their dealership through a comprehensive marketing approach. Dealers enrolled in OneCommand’s Social Roots™ 1-to-1 solution are seeing an increase in visit frequency, revenue, traffic, and owner loyalty. By leveraging the new features enabled by the integration with Facebook, enrolled dealers are able to lower their marketing budget while delivering consistent, professional, timely communications to their customers through a multi-channel approach. OneCommand’s Social Roots™ 1-to-1 Facebook integration will hit the market at this year’s NADA Convention and Expo, the automotive industry event of the year. If you are interested in learning more about this ground-breaking product, please contact OneCommand today at http://www.onecommand.com/schedule-a-demo.